Mitsubishi recognizes the dedication and achievements of the hardworking women and men of the military. Your investment in this country is to be commended, and in recognition of your efforts, Mitsubishi Motors is offering you a $500 rebate on select models. Important restrictions and rules apply. See your participating Dealer for the program details. Thank you! Offer valid from 04/03/2018 through 04/01/2019. 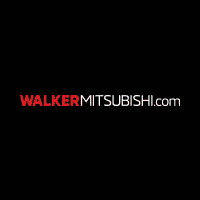 Ally Financial is also offering customers who qualify for the Mitsubishi $500 Military Rebate a matching $250 Down Payment Assistance (DPA) for purchase transactions or matching $250 Ally SmartLease Capitalized Cost Reduction Allowance (CCRA) for SmartLease contracts. Purchase term may not exceed 72 months, lease term may not exceed 60 months. Contract must be signed between 04/03/2018 and 04/01/2019. Not available with financing under the Ally Buyers Choice Program or with financing that includes a balloon payment. May not be combined with any other Ally offer. See a participating dealer to see if you qualify and for additional details.